Here’s a recipe just suited to commemorate AntiquityNOW Month in May. Weightless pillows of sweet perfection, light as air and oh so heavenly. Drop them in a steaming cup of chocolate, use them to bind cereal into gooey deliciousness or simply pop one in your mouth and let it dissolve into pure sugary delight. The marshmallow with its mass-marketed, brightly colored, supermarket incarnations may seem like a truly modern candy, but in reality, like so many things, it was born in our shared ancient history. 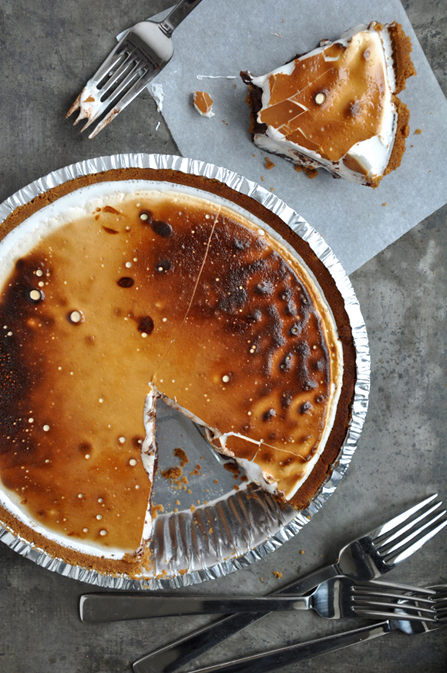 Let’s take a look at its past before we share with you a recipe from its present, a decadent S’more Pie. The marshmallow wasn’t always a confectionary treat. 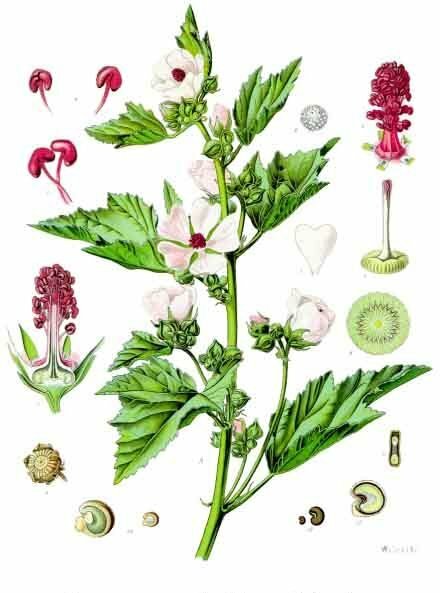 The “marsh-mallow plant” or Althaea officinalis grew around salt marshes and large bodies of water and contained important medicinal properties. The ancient Greeks used it to treat a variety of ailments. Hippocrates recommended it for wounds, bruises, hemorrhages, dislocations, swollen muscles, dysentery and lung problems. “The decocted root is given to the wounded as a drink to quench thirst arising from the loss of blood.” The Greek philosopher Theophrastus noted that marshmallow could be used in oil and applied to ulcers or put in wine to treat coughing. The ancient Egyptians put the little plant to work as far back as 2000 BCE, giving it to children with sore throats, but they also recognized its culinary potential. The extracted sap was combined with nuts and honey to create a chewy treat. The Egyptian candy was reserved for children, gods and royals. Fast forward to the mid-nineteenth century where the modern marshmallow finally began to take shape. After centuries of being used mainly as a throat lozenge, the French decided that while it was quite a good lozenge it was also a rather delicious treat and they endeavored to improve upon the ancient recipe. They whisked the sap together with egg whites and sugar to create a frothy foam that would harden into a candy. It was a slow process that yielded a small amount of marshmallows at one time so it was only undertaken by small candy shops and confectionaries. Althaea Officinalis- the marsh mallow plant. By the late 1800’s, with marshmallow popularity on the rise, it became necessary to find a new and more efficient way to mass produce the candy. Gelatin replaced the actual marshmallow plant sap and a system called the “starch mogul” system used cornstarch molds that allowed for a much easier and efficient marshmallow-making process. The addition of gelatin and cornstarch gave the confection its chewy, but stable form. Throughout the years, new and better ways of making the marshmallow have developed so that today we have every color, shape, size and variation at our finger tips. The only sad thing about our modern day mallow is the lack of any trace of the original marshmallow plant. It is important to note however, that the medicinal benefits of the plant are still appreciated today and included in all natural sore throat remedies. These soothing concoctions are especially useful for children who may have adverse reactions to typical store-bought pharmaceuticals. And now it’s time to enjoy the marshmallow in a truly decadent way. 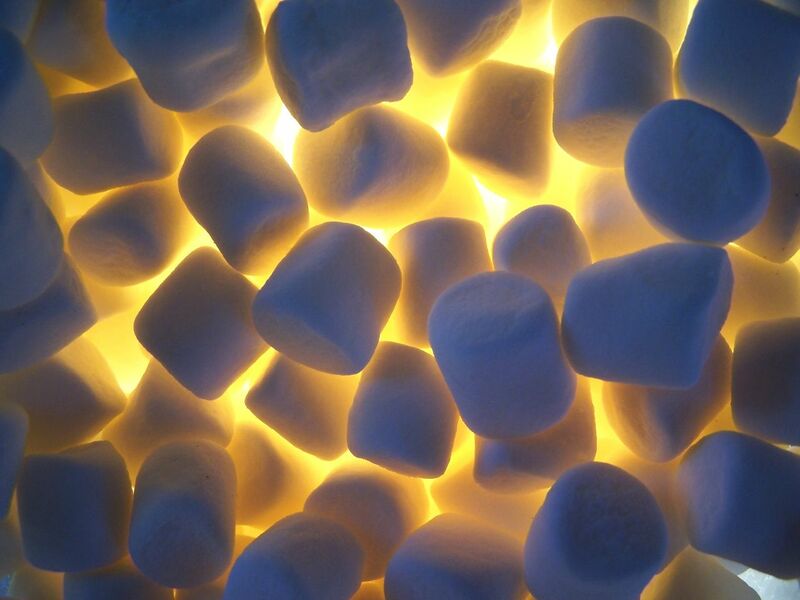 As you bite into the rich and gooey S’more Pie, remember the humble marshmallow plant, treating the ills of the ancients, not knowing how it would inspire an iconic candy with endless possibilities. *Recipe courtesy of Just a Taste. Unwrap the pie shell and place it on a cookie sheet. First make the chocolate filling by placing the chopped chocolate in a large bowl. Bring the heavy cream to a boil in a heavy saucepan then pour it over the chopped chocolate and let it sit for 1 minute. Whisk together the chocolate and heavy cream until it’s thoroughly incorporated and smooth. Gently whisk in the egg and a pinch of salt until combined, then pour the mixture into the prepared pie crust (it will be about half full). Cover the exposed crust with a pie shield or foil. Allow the pie to cool on a rack for one hour while you make the marshmallow topping. Very carefully rotate the pie under the burner, about 3 to 4 inches away from the flame, just until the top is evenly browned, about 3 minutes. Tobyn, Graeme, Alison Denham, and Margaret Whitelegg. The Western herbal tradition 2000 years of medicinal plant knowledge. Edinburgh: Churchill Livingstone/Elsevier, 2011. Print. “It’s a Marshmallow World.” Smithsonian. N.p., n.d. Web. 4 May 2014. <http://www.smithsonianmag.com/arts-culture/its-a-marshmallow-world-27466036/?no-ist>. This entry was posted in Blog, Bon Appetit Wednesday, Culinary, Culture, Healing Arts, Science and Technology and tagged ancient history, ancient recipes, AntiquityNOW, Bon Appetit Wednesday, Egyptian medicine. Egyptian candy, Greek medicine, marshmallow, s'mores. Bookmark the permalink.